As most parents know, adolescence is a time of change. It makes sense then, that a teen’s grief looks different than that of an adult’s or a child’s. 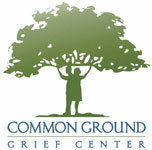 Oftentimes, a teen’s grief will be internalized or hidden. They are best served by the caring adult who can provide the “space” that they need while not being too overprotective. Be reasonable but consistent in setting limits and boundaries. Teens want and need privacy. Respecting this need during grieving is vital to maintaining a healthy relationship and grieving process. Be a good role model. Adults who can openly share their emotions and who don’t abuse drugs or alcohol are healthy role models for their teens. Parents who become are overwhelmed with their own grief and display inappropriate coping styles are subject to negatively affecting their grieving teen. Allow for fun time. Make time to laugh and have fun. Physical care. Make sure to get plenty of rest, eat healthy and make time for daily exercise. Routines offer teens stability and comfort that they don’t have to worry about what will happen next. Teens should have full disclosure to the circumstances of the death and relevant information pertaining to the person who died as well as changes that will affect them. Be a good listener. Listen without judgment. Having the right answers isn’t nearly as important as exercising good listening skills.